The Anna Plowden Award for Research and Innovation recognises the achievements of those involved in conservation research and development. It is presented for the best, completed programme of research or project aimed at furthering the knowledge and practice of conservation. These were all excellent projects, giving the Award’s judges (Dr David Saunders (Chairman), Francis Plowden and Dr Lorraine Gibson), and the Trustees a challenging task. 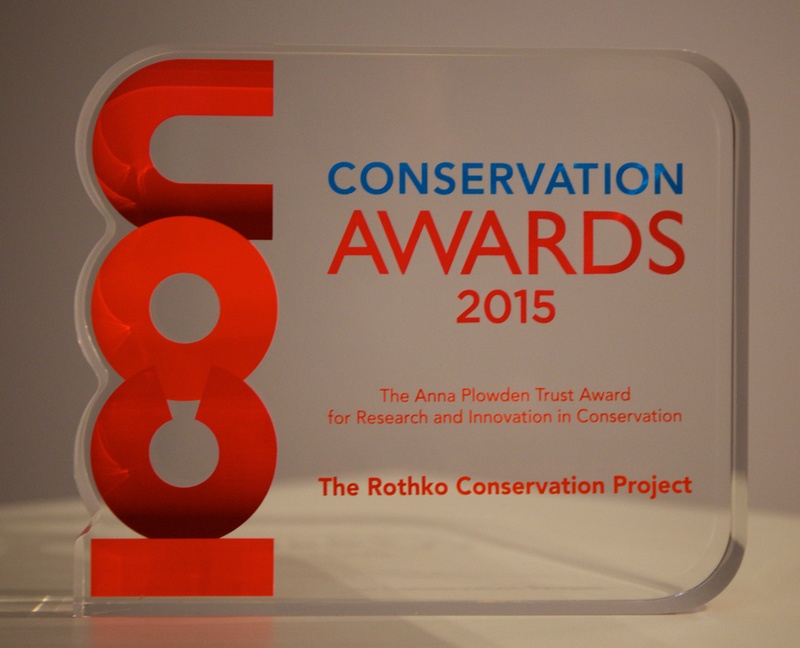 Finally, Tate’s Rothko Conservation Project was declared the winner at the Icon Awards ceremony in October 2015. The Rothko Conservation Project resulted in the successful conservation of Mark Rothko’s ‘Untitled, Black on Maroon’ 1958, following an incident involving highly staining black graffiti ink. The ink dissolved the uppermost layer of Rothko’s delicate glaze, saturated the paint and, in some areas, penetrated through to the canvas. The impact was devastating, both visually and physically, destroying the meditative experience of this painting. Initial tests indicated that the ink and paint were similarly sensitive to many organic solvents, adding to the challenge of safe removal. The project developed unique treatment solutions through three phases: research and evaluation, ink removal and surface restoration. The research phase involved: investigating the ink material and the physical and chemical interactions between the ink and paint; contextualising the treatment within the artist’s body of work; creating a representative test sample; and developing an appropriate ink removal system. 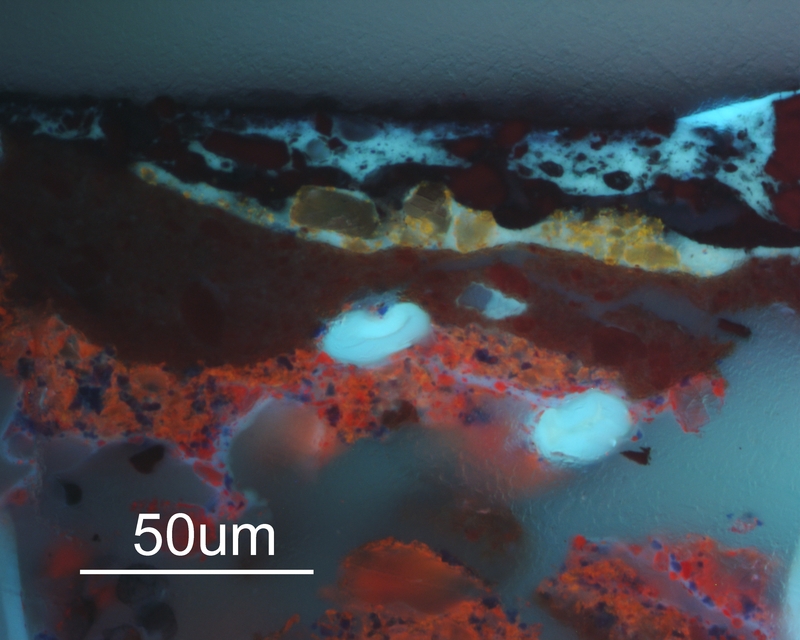 This exemplary research model operated within a highly collaborative framework, drawing on Tate’s expertise in modern paints and surface cleaning as well as external partners, with governance by Tate’s Board of Trustees, an advisory group and an expert panel consisting of conservation scientists, curators and conservators. The painting was returned to display at Tate Modern in May 2014 to international acclaim. 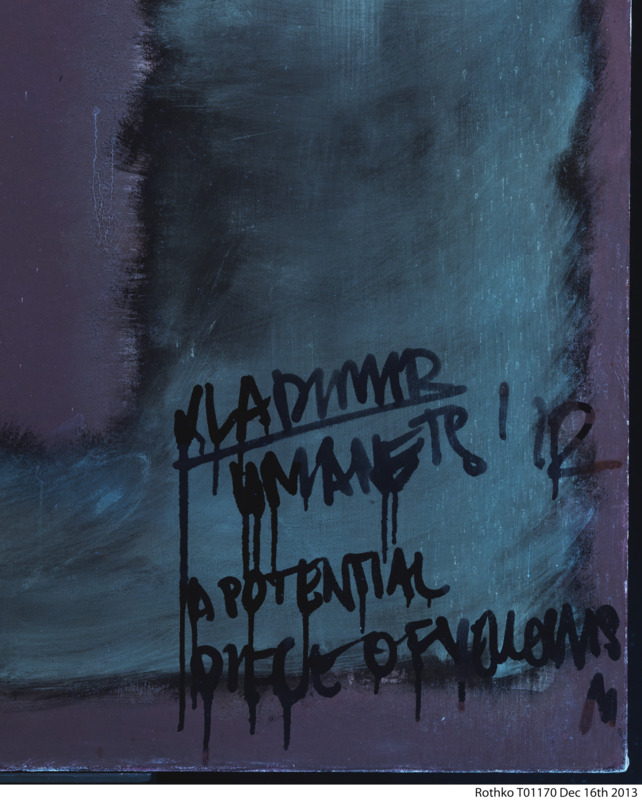 As a result of the project, new information emerged about Rothko’s materials and technique and the test sample provided insight into Rothko’s practice as well as minimising the need to test treatment options on the painting surface. The project has been documented comprehensively and disseminated widely, and the “Restoring Rothko” film by Tate Media has received more than 73,000 views to date. Winning the Icon 2015 Anna Plowden Trust Award for Research and Innovation in Conservation means recognition for the inspired efforts, dedication and achievements of the treatment team (Rachel Barker, Dr Bronwyn Ormsby and Patricia Smithen). The award highlights the importance of research and development in modern and contemporary art conservation to a wide audience, and has enabled the purchase of a microscope camera to support further work in this field at Tate. Sir Nicolas Serota, Director of Tate said: “This is a striking achievement… and a tribute to the team’s immense skill, patience and unflagging commitment to excellence in conservation”. The judges were impressed by the Tate’s strong application of fundamental research, and considered, thoughtful conservation treatment which resulted in an unusually close collaboration between conservators, scientists, curators and Mark Rothko’s family. An ultraviolet detail of the affected area prior to treatment. Image Tate © Kate Rothko Prizel and Christopher Rothko, 2012.